Amazon stores all the voice recordings on its servers, in the hopes of using the data to improve its voice assistant services. While you can delete your personal voice data, there's still no way to prevent any recordings from being saved on a server. "It is believed that these records are retained by Amazon.com and that they are evidence related to the case under investigation," police wrote in the search warrant. Amazon has not sent any recordings to the officers but did provide Bates' account information to authorities, according to court documents. The retailer giant said it doesn't release customer information without a "valid and binding legal demand." "Amazon objects to overbroad or otherwise inappropriate demands as a matter of course," the company said in a statement. Even without Amazon's help, police may be able to crack into the Echo, according to the warrant. Officers believe they can tap into the hardware on the smart speakers, which could "potentially include time stamps, audio files or other data." The investigation has focused on other smart devices as well. Officers seized Bates' phone but were unable to break through his password, which only served to delay the investigation. "Our agency now has the ability to utilize data extraction methods that negate the need for passcodes and efforts to search Victor and Bates' devices will continue upon issuance of this warrant." Ultimately, it might have been information from a smart meter that proved to be the most useful. With every home in Bentonville hooked up to a smart meter that measures hourly electricity and water usage, police looked at the data and noticed Bates used an "excessive amount of water" during the alleged drowning. Officers have also seized an iPhone 6S, a Macbook Pro, a PlayStation 4 and three tablets in the investigation. Amazon is pushing back against an Arkansas prosecutor's demand for information from a murder suspect's Echo smart speaker, setting up another legal battle over investigators' quest for technology-based evidence and American privacy rights. As technology has become more and more integral to daily life, authorities have increasingly sought evidence from mobile phones, laptops, social media, even the Warcraft video game. The investigation into the 2015 mass shooting in San Bernardino, California, pitted Apple, which built one of the shooter's mobile phones, against the FBI, which wanted the tech giant's help cracking the device's PIN code. The trial of Justin Ross Harris, the Georgia dad convicted of leaving his young son in a hot car to die, regularly delved into texts, Google searches and Reddit posts. Attempting to mine a smart speaker for information may be a first, though. Joel Reidenberg, the founding academic director for Fordham University's Center for Law and Information Policy, told CNN it's the first such case he's seen, but he isn't surprised that smart speakers are already the subject of a court battle. While some might argue that voice technology such as Echo, Siri or Google Home, which assist users with queries and tasks, come with a different expectation of privacy than, say, social media postings or Internet searches, Reidenberg said he feels such an attitude is naive. "I think Amazon is likely going to lose that motion if it goes up the chain of appellate courts," he said. According to Amazon, Echo works by constantly listening for the "wake word" -- "Alexa" or "Amazon," by default -- and then records your voice and transfers it to a processor for analysis so that it can fulfill requests or answer questions. The recordings are streamed and stored remotely, and can be reviewed or deleted over time, Amazon says. "How is that any different from you sitting at your keyboard typing?" Reidenberg asked. The Amazon Echo entered the November 2015 murder case because someone present on the night of Collins' death allegedly recalled hearing music streaming through the device that evening. Bates had invited two friends -- one of them former Georgia police officer Victor Collins, 47 -- over to his Bentonville home, where they watched college football, drank beer and shot vodka, according to the search warrant affidavit filed in Benton County Circuit Court. The men decided to get into Bates' hot tub and Bates said he went to bed around 1 a.m. When he awoke in the morning, Collins was floating face-down in the hot tub, the affidavit says. Bates' attorney, Kimberly Weber, says Collins was Bates' friend, and his death was a tragic accident, possibly stemming from his drinking. Collins' blood-alcohol content at the time of death was .32, four times the legal limit to drive in Arkansas, she said. The Amazon Echo is always listening for its wake word. "It's not a murder at all. It's an accident," she said, adding that she feels calling the case against her client circumstantial would be giving it too much credit. Investigators contend in the affidavit there were signs of a struggle, including injuries to Collins and Bates, a broken shot glass, dried blood inside the home and indications the patio and hot tub had been hosed down before police arrived. Another smart device, Bates' water heater, points to an exorbitant amount of water being used in the early-morning hours, in what investigators believe was an attempt to cover up a crime, the affidavit says. Weber argues the amount of water was unremarkable and nearly equal to the amount of water used in the home 12 hours earlier, she said. Smith, the prosecutor, told CNN that the data the Echo captured on the night of Collins' death could provide clues as to what happened. His office made two attempts to obtain the data from the Echo, but Amazon refused both times. The company declined to comply with a search warrant, he said. "They'll say it's for privacy reasons, but I don't believe they have a legal leg to stand on," he said. "I don't think they're a bad company or anything, but I don't think they want to release it because they want to sell more of them." Investigators have routinely obtained warrants for suspects' phones, computers, even their blood, he said, so "there's not a rational or legal reason that we shouldn't be able to search that device." "Amazon will not release customer information without a valid and binding legal demand properly served on us," it said in a statement. "Amazon objects to overbroad or otherwise inappropriate demands as a matter of course." The company's representatives did not respond to a follow-up email asking why Amazon did not feel the search warrant constituted a valid legal demand. Weber said Amazon did provide prosecutors with Bates' subscriber information. The attorney also noted that the documentation that comes with the Echo states that Amazon cannot guarantee that "its functionality or content ... is accurate, reliable, or complete." To try to enter an Echo's recordings as evidence is "crazy," given the disclaimer, she said. Not that she's terribly worried. "There's nothing on the Amazon Echo that will hurt us," Weber said. "We're not fearful of anything being provided, if Amazon does indeed respond." Weber is adamant in her assertion that devices like the Echo are designed to make life easier around the home and "shouldn't be used against you." While Fordham's Reidenberg understands the sentiment, he expects attitudes to change as the devices become more ubiquitous. We've already witnessed it with mobile phones, he said. "We haven't yet seen, but we will see, the same kind of things happening with these voice-activated home devices," he said, predicting the content of smart speakers will soon be regularly featured in divorce cases. "These are the perfect surveillance devices, if they aren't treated with care." Another question, he said, is how a device that's "always listening" processes what it hears. Sure, Amazon says the Echo records only after users utter the wake word, but, Reidenberg asks, will that always be the case? "That could change tomorrow," he said. "That's just today's architecture for it." The Electronic Privacy Information Center has long been concerned about "always-on" devices and wrote in a July 2015 letter to the US Justice Department that such machines are "increasingly prevalent in the 'Internet of Things,'" the term used for the networking of common, everyday objects, allowing them to send and receive data. Along with the Amazon Echo, other technology cited in EPIC's letter were Samsung smart televisions, Google's Chromium browser, Mattel's "Hello Barbie" doll, Microsoft Kinect for the Xbox, Nest Cam security cameras and Canary Connect home security devices. "Americans do not expect that the devices in their homes will persistently record everything they say," EPIC warned the Justice Department. "By introducing 'always on' voice recording into ordinary consumer products such as computers, televisions and toys, companies are listening to consumers in their most private spaces. "It is unreasonable to expect consumers to monitor their every word in front of their home electronics. It is also genuinely creepy." Amazon's Alexa voice assistant may have information useful to a murder investigation in Arkansas, where authorities issued a groundbreaking warrant in a case that evokes Apple's spat with the FBI earlier this year. Police want access to data from the Amazon Echo speaker belonging to James Bates of Bentonville, Ark., who was charged earlier this year with first-degree murder, The Information reported Tuesday. 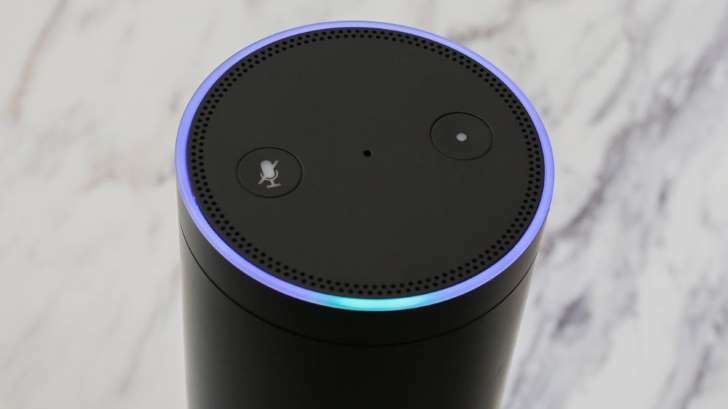 Since the Echo speaker is always listening for Alexa voice commands, the audio it recorded could provide clues about what happened inside Bates' home on Nov. 22, 2015, when a man was found dead in his hot tub. A key issue in the Arkansas case is whether or not Amazon's servers have information that the police can't otherwise access. The company did not immediately respond to a request for comment, but Engadget reports that it handed over Bates' account details and purchases while refusing to let the police access server data. Court records show that Amazon twice declined to give the actual voice search queries to local police, according to New York Magazine. If you're an Alexa user concerned that Amazon might be storing your personal conversations, the company provides some options to manage voice recordings and review what you've asked Alexa. The simplest is to delete all voice recordings associated with your Amazon account for each of your Alexa-enabled products. To do so, visit www.amazon.com/mycd or contact customer service. 0 Response to "Police request Echo recordings for homicide investigation"